The twin residential towers would provide more than 600 private rented sector apartments as well a retail space. Manchester Quays, a business controlled by Allied London and Manchester City Council are behind the proposal. I for one think this mixed-use development sounds very exciting, fantastic for the economy and for the development of the St John's masterplan. It is another great example of MCC in a great JV to keep Manchester moving forward. 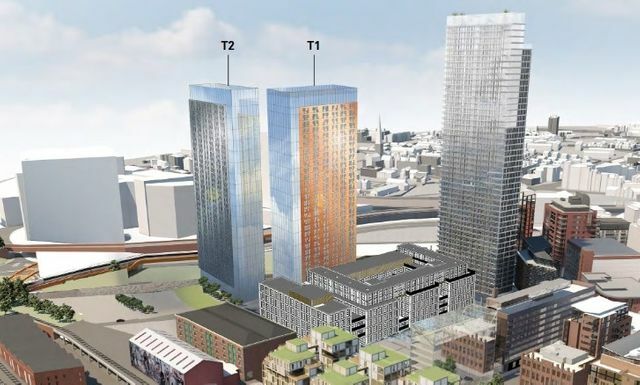 A pair of 36-storey residential towers earmarked for the emerging £1.3bn St John's neighbourhood on and around the site of the Old Granada Studios in Manchester city centre are set to secure planning approval in the coming days.